Michelin-starred chef Graham Garrett shares his recipe for the ultimate pork sausage roll, given some luxurious gourmet touches with the addition of foie gras, black truffle and a heady Madeira sauce. If the latter isn't already part of your culinary repertoire try using Chris Horridge's Madeira sauce recipe, or substitute it for any other rich gravy of your choosing. Remove the sausage roll from the oven and leave to cool a little, brushing over the Marmite glaze if using. 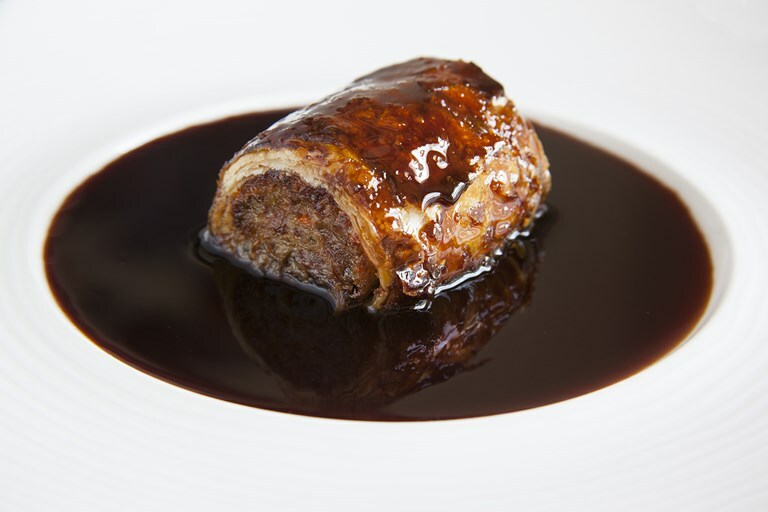 Slice the sausage roll into even sized portions and serve with Madeira sauce.